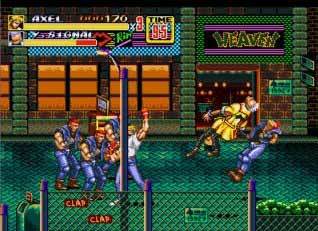 Streets of Rage 2 (Genesis): One of my favorite games of all time. So simple, yet so amazingly fun … and a great soundtrack, too. I’m still amazed that they can get music that intricate from a console less powerful than my phone. Same-screen co-op makes this game even more fun with a friend. A no-brainer in my opinion, unless you have that Sega classics disc for the Dreamcast. The Grand Uppercut … the henchman’s most feared foe. DK Country 2: Diddy Kong’s Quest(SNES): I was never a big fan of the DK series (except for the original), so I’ve never really played more than a few minutes of either DK Country games. They looked great for the time, but the gameplay felt a little sloppy to me. Blazing Lazers (TurboGrafix): Not having owned a TG16, I never played more than an occasional Bonk’s Adventure session. At first look it seemed to be another vertical-scrolling space shooter, but reviews from the era claim it to be the best shooter of that year so it might be worth checking out. Rush’n Attack: A mildly entertaining NES game, this one gets the major overhaul Double Dragon got last week. Enhanced graphics, new score, Live multiplayer, the works. I’m not sure how I feel about this. I like how the new-old games look, but it kind of defeats the purpose of releasing them as “retro console” titles. I mean, neither this game nor Double Dragon was lauded for incredible gameplay, so there’s nothing to really preserve except for the nostalgia. But nostalgia includes crappy graphics and music, so it seems to me like they’re missing the point. 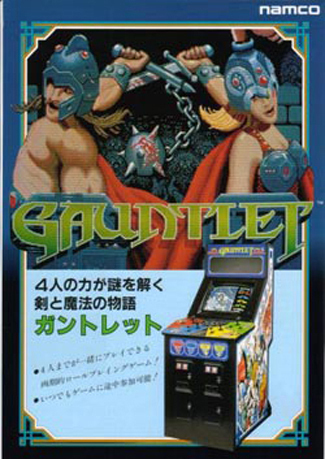 Well, either way, online multiplayer could make this game a lot more fun that it was in the past. Xevious: Another vertical-scrolling shooter … but this one is “the world’s first.” Released in January for the Wii virtual console, it made a lot of people happy all over again. Regarded as being one of the best scrolling shooters ever, it’s a good bet for fans of the genre. Actually, the “classics disc” for DC has butchered sound emulation, so you pretty much need to find another way to play it. I completely agree with your assessment of giving new graphics to old games. For anyone who doubts that most old games are only good because of nostalgia, try playing the PS2 Sega Classics Collection without throwing up.